Veggie Bites – A Great Way to Sneak in Some Calcium & Veggies! I realize that most of the recipes I have posted are of desserts and sweet treats. I don’t necessarily hear anyone complaining (who doesn’t love cookies and candy?) but I want to assure you that there is also some healthier cooking taking place at our house. A couple of months ago I learned that E’s Neocate wasn’t covering his daily recommended dose of calcium so I started to look for creative ways to incorporate more calcium into his diet, which is difficult when you are avoiding all dairy products. 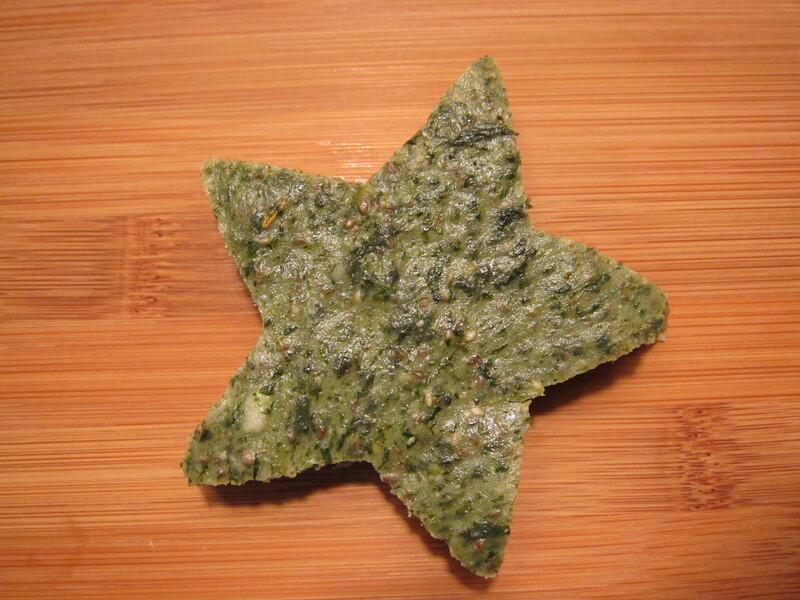 E’s dietician recommended we try salmon and green leafy vegetables, like kale and spinach. 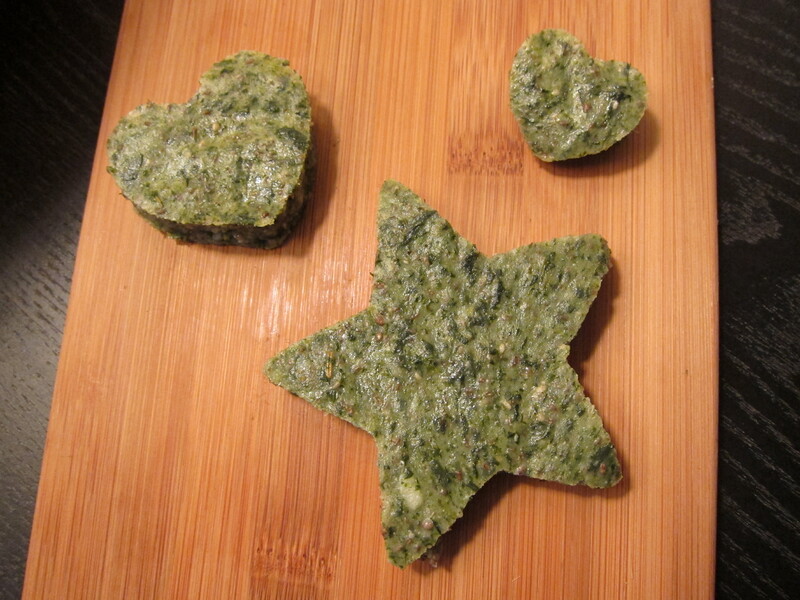 I came across a recipe for spinach bites that sounded great. Unfortunately they didn’t turn out right for me so I tweaked it a little and made my own version. I love these Veggie Bites and so does E! I usually make them with spinach but I have also had success with broccoli and I’m guessing you could use just about anything. Not only are they a good way to sneak some veggies into my little guy, but they were also a good way to transition him to more flavorful food. I have a tendency to get caught up in pure food trials, during which I try not to add too many variables, like spices. This was a good opportunity to trial a bunch of spices that were likely going to be passes. It also contains three chia “eggs,” which helps boost the fiber, calcium, and omega-3. I won’t lie – they are a little bit time-consuming to make and I always end up with a sink full of dirty dishes, but they are totally worth it. Besides all the nutritional benefits, they are a great make-ahead dish. This recipe makes about 12 good-sized servings, so I usually freeze about half of the try. If you pre-cut them, you can just pull them out of the freezer and defrost/reheat as needed. I love having them on hand for use as a side dish whenever I need them. I think they would also work well as a quick, healthy snack. I usually just cut them into square or strips to serve but I’ve been wanting to try to make them a little more fun, so today I pulled out the cookie cutters. I recommend letting them cool completely before your try cutting them, or you’re likely to get more of a veggie mush (which still tastes delicious). If you are feeling creative and want to use cookie cutters, refrigerating them overnight will help you get a more workable consistency. I hope you enjoy them as much as we do! Peel and cut the potatoes into small pieces. Boil with a dash of salt until they are soft. 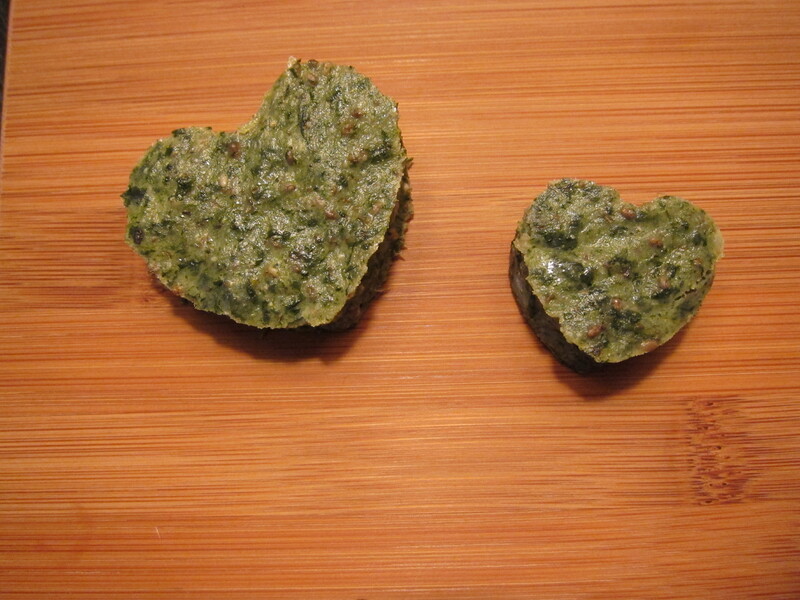 Steam or lightly cook your spinach. Drain any extra liquid. Blend the spinach until creamy. Mix the spinach with potatoes. I use an immersion blender for the mashing and blending, this results in a creamy, well-incorporated mixture (and cuts down on the dishes). Make your chia egg: mix the ground chia with water and let sit to gel while you prepare the rest of the recipe. Add the spices and oil to the potato/spinach mixture. Fold in the chia eggs and stir until well combined. Spray a 13×9 glass baking dish with olive oil (or other cooking spray). Pour the mixture into the prepared dish. Make sure you spread it out so that it’s flat and even in the dish, It won’t settle at all in the oven. Bake at 350º for 40 minutes. Let cool (refrigerate for a couple of hours if you have time), cut (into fun shapes if you want) and serve! This recipe was adapted from the one I found here: For the Love of Food! FPIES is a moving target but E's current allergens are Soy, Oat, Coconut, & Shellfish. He is no longer allergic to Dairy, Egg, and Rice! We are adding new safe foods every day, including most fruits, vegetables and meats! I am a doctoral candidate in clinical psychology and a researcher by nature. When my son was diagnosed with FPIES, I turned to research to wrap my head around the diagnosis. We have been dealing with food allergies for over a year and we are finally getting a handle on them. I hope I can offer some information and support to others who are living with FPIES or other food allergies.